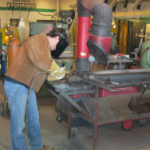 The Welding & Metal Fabrication program prepares students for employment in the welding trade. Students become proficient in a variety of welding and cutting processes, as well as interpreting blueprints and weld symbols. Instruction is provided through classroom and hands-on experience in the lab. 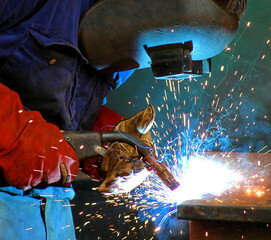 Eighty (80%) percent of the students who complete the program enter the welding field with job entry level skills or continue their education and earn an Associate’s degree in Welding. An articulation agreement is in place with SMCC.